I love this pan. The size is wonderful for the price. I used the product to bake cookies and biscuits. Nothing sticks to the pan and the cleanup is easy. 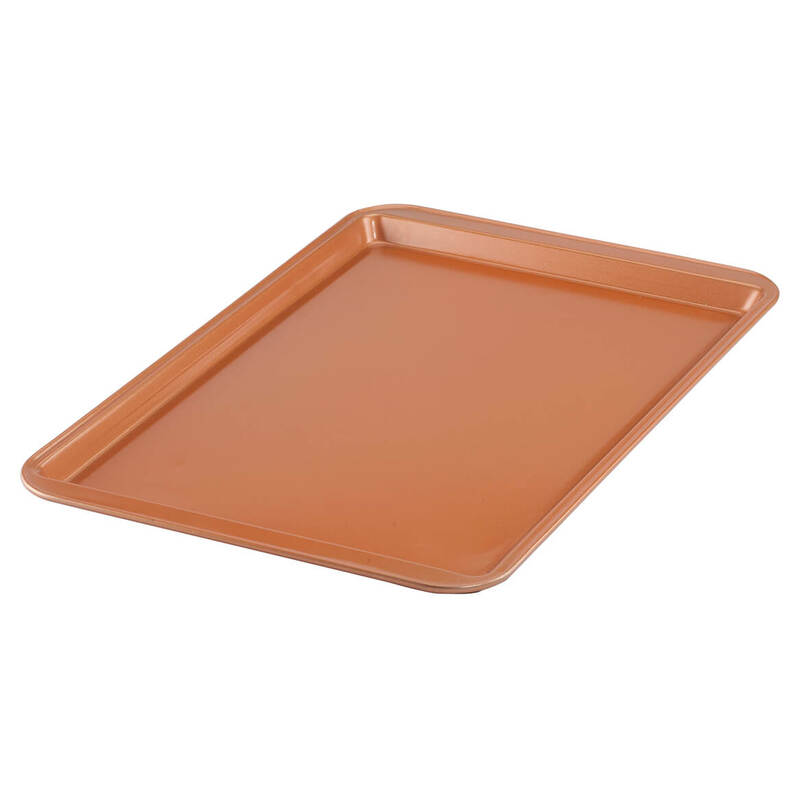 This product seems to be a second in quality as the copper coating is thin in places. 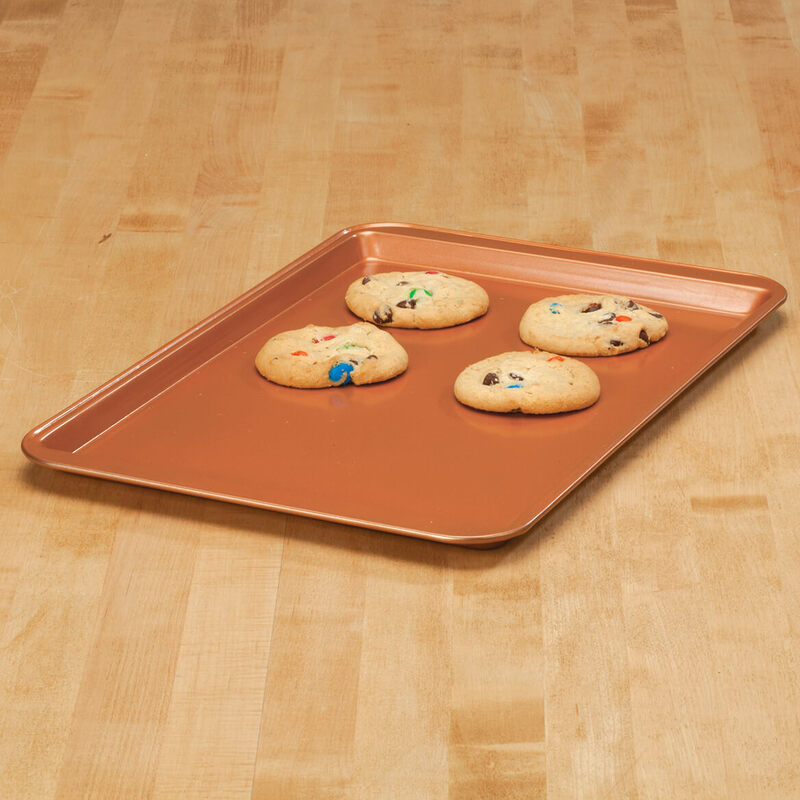 I love all of my copper pans and i needed a new baking sheet. How is it non stick? I have so-called ceramic finish saucepans, they are not really non-stick. I am trying to stay away from teflon types, though.